When most Americans think of gelato, they automatically think of ice cream. The two are, however, rather different products, and in this post we’ll go over the difference between gelato and ice cream. Like ice cream, gelato (an Italian word meaning “frosted”) is a type of frozen cream made with milk, cream, sugar, and sometimes egg yolks. The similarities end there. Gelato contains less fat than ice cream (about half as much), less air than ice cream (also about half as much), and is served at a warmer temperature. These three main factors combined give gelato a much more velvety texture compared to ice cream. Gelato is also slower to melt, and the taste is more intense than that of ice cream. Thanks to its rich taste, cool temperature, fragrant smell, and beautiful color, gelato is a full-on sensory experience. 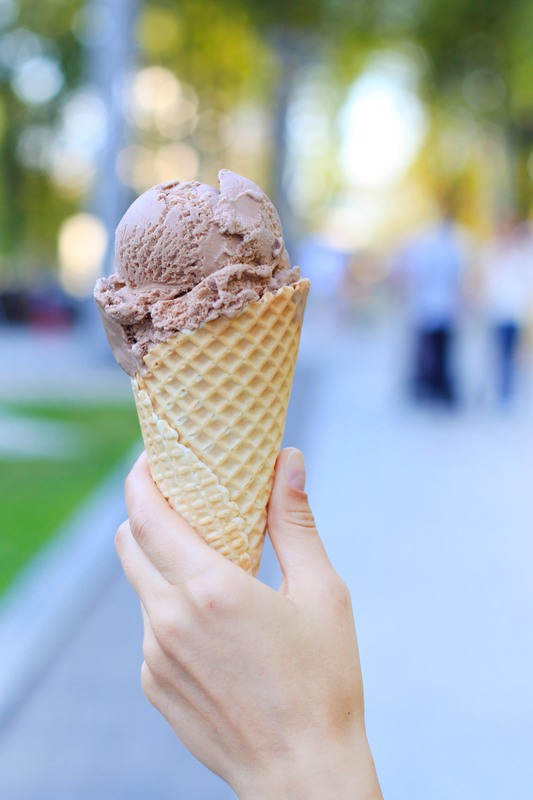 Gelato is softer than ice cream, partially because it is served at a warmer temperature (nearly 15˚F warmer), and partially because of its balanced formulation and manufacturing process (it’s churned at a slower rate). Because it is served at a warmer temperature, the taste buds aren’t as numbed by the cold, making them more sensitive to taste. 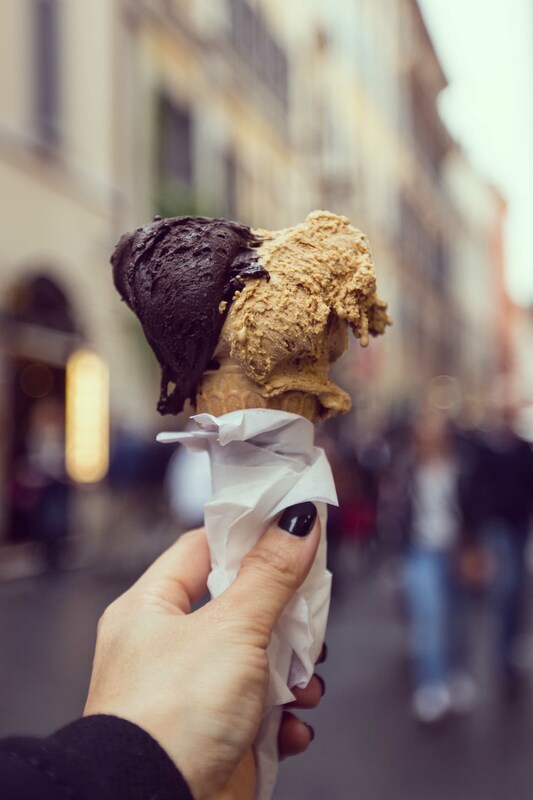 Gelato is also more flavorful than ice cream because it has less incorporated air (which is tasteless), and because there is less fat to coat the tongue. Traditionally, gelato is made in small shops. A great variety of flavors would be available, all made with basic raw ingredients that are often selected according to the season. This approach typically results in offering the consumer a greater, and more interesting selection than the more mass-produced ice cream. Italians made a frozen cream that is delicate, has a short life span, and can only be made properly in small batches using artisanal methods. Americans made a frozen cream that is hardy, long lasting, and can be made well industrially. I cannot say whether the differences between the two products were by design, by accident, or as a result of a subconscious approach to food by the two cultures. I will say, however, that even though I like ice cream, I think gelato is far superior. It’s one of the great Italian culinary contributions to the world, and one I hope you will be convinced to try for yourself. So what is the difference between sorbetto and gelato? Sorbetto is essentially a gelato made without fat (fat in gelato would typically be butterfat from milk), but only with water, sugar and usually fruit. It is different from the icy American sorbet, in that it is much creamier and silkier in consistency. Proper sorbetto should be nearly as creamy as the milk-containing gelato.